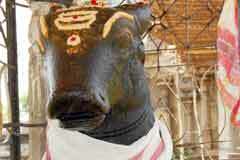 Festival: 11 day Vaikasi Visakam ((may-June) is grandly celebrated in the temple. Surya puja (Puja to Sun God) is performed on Vaikasi Visakam star day (May-June) as the rays of Sun falls on the presiding deity. The temple is opened from 6.00 a.m. to 11.30 a.m. and 4.00 p.m. to 7.30 p.m. The river Pambaru flows south of the temple. The sea is at a distance of 3 kilometres. 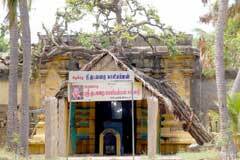 As the place is just at the entrance (Punal) of the river and sea, the place is named Tirupunavasal – entrance place. 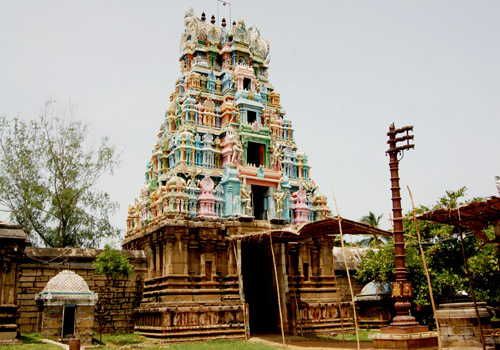 The main tower (Rajagopuram) is 65 feet tall. 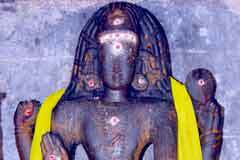 The Brahmma theertha is outside the temple. There is only a small level of water in the tank. 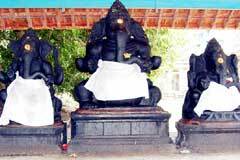 There are shrines for Pancha Vinayaka, 9 sons of Sage Kabila, ancient Shiva devotees, Dakshinamurthy, Aadhi Vinayaka of the place, Lord Muruga with His consorts Valli and Deivanai, Brhamma, Chandikeswara and Gajalakshmi. 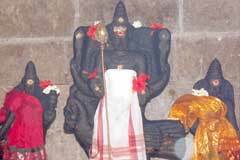 Mother Goddess Periyanayaki graces from a separate shrine facing east. The Kudavarai Kali Shrine is opposite the Goddess shrine. Relief from Mars aspects: Mars is one of the 9 planets. He himself was the subject of a curse of a sage. He worshipped Lord Shiva in this temple for relief from the curse. It should be noted that Mars is a powerful planet whose adverse aspects in the life of men would produce evil results. As Mars himself got the relief in this temple, it is known for its importance for a relief from Mars effects. Those celebrating the Valaikappu-Seemantham for the pregnant women, offer the first bangle to the Goddess. It is noteworthy, till today there is not a single maternity hospital in places around the temple. Their faith is so deep that by the grace of Kali, the delivery would safely occur in their respective house itself. Lord Brahmma had to lose his position as Creator as he was not able to explain the meaning of the Pranava Mantra. As advised by Mother Parvathi, He came to earth, installed a Sivalinga and worshipped to get back his position. Brahmma also created a tank to draw water for the abishek of Lord Shiva. As the spring was created by him, it is called Brahmma Theertha. Also, as Brahmma has four faces, He made four faces in the Linga too, hence the Linga came to be known as Chaturmuka Linga – Chaturmukha – four faces. 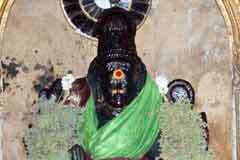 This was the Linga worshipped by devotees in the early days. 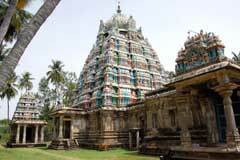 In the years that followed, King Sundara Pandian built a temple combining the tradition of both Pandyas and the Cholas. In the Chola temple, the main tower (Rajagopuram) would be small and Vimanam taller and in the Pandya temples it would be other way round. As the temple combines both traditions both are taller. 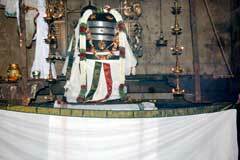 The Shivalinga was installed on a big Avudayar (the seat for placing the deity) in the sanctum sanctorum. The Lord was named Vruddhapureeswarar indicating the age. Vruddha means old. In Tamil, He is called Pazhampathinathar. 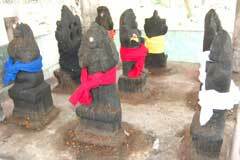 As the place is ancient as Lord Brahmma the Creator, the place is considered to be very old. Those going to Tirupunavasal from Chennai and Puducherry should reach Pudukottai via Trichy and then reach Aranthangi 30 Kms far from there. Buses are available here for Tirupunavasal 42 kms from then. Those going from Madurai should reach Aranthangi via Karaikudi and then reach place. Bus facilities are conveniently available.